Lexington Main Street was organized in July 2001. Lexington is Certified Local Government and is listed on the National Historic Register with over 220 qualifying structures. Always in attendance at Manager Training, Lexington is an accredited National Main Street Community. 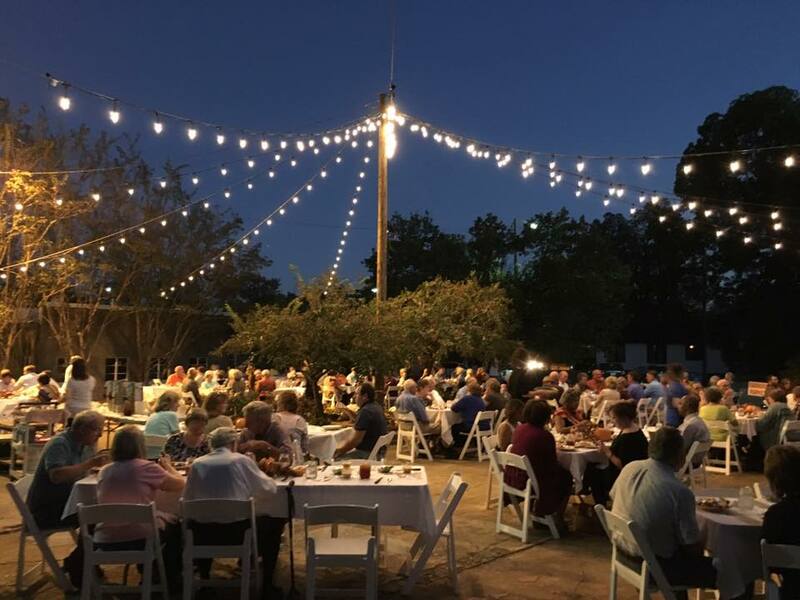 Lexington has worked closely with MDOT on many improvements to its downtown square and counts “Riches in the Ditches”, Taste Buds Men’s Cooking Competition and Phil Hardwick’s 10th Mississippi Mysteries Series as just a few of its very successful promotional events. Picayune’s Easter Egg Drop started in 2004 when Mayor Greg Mitchell asked Main Street Manager Reba Beebe to come up with an event to showcase the new Picayune Airport. With a modest crowd of 1,500 in 2004, the event pulled in 4,000 people in 2008 dropping 10,000 plastic eggs filled with prizes that were distributed by four airplanes. A rock wall, pony rides, face painting, photographs with live bunnies and many other fun additions have made this a magical day for Picayune Main Street, community leaders and the local schools. More than 2,000 trick or treaters and their parents came to Downtown New Albany for the Annual “Trick or Treat Downtown” in 2007. This year’s event had a unique twist; Merchants could participate by having a replica of their storefronts painted by the city and county art classes and sponsoring candy to be passed out at these storefront replicas. The display art created a “Trick or Treat Village” where trick or treating was joined by face painting, apple bobbing, a costume contest, pumpkin contest and many other activities. Sugaree’s Bakery sponsored a citywide coloring contest and displayed the winners in the store window during the event. The plan to expose many participants to Historic Downtown New Albany was a huge success! Tunica’s $1,000 Holiday Shopping Spree began with the Annual Christmas Open House in downtown Tunica and ended one week prior to Christmas. Shoppers were awarded entries based on the amount of purchases they made with a drawing at the end of the event. For every $25 spent with a participating Merchant the shopper received one entry. The promotion generated $33,000 in sales, a wonderful Christmas present for this town of 1,500. Indianola was suffering an identity crisis as many symbols that had been used to promote this Delta town were becoming less relevant in today’s society. Cotton Bolls gave way to Catfish and a Downtown Bayou and so on. This year, the B.B. King Blues Museum added a guitar to the mix of symbols, but the townspeople still felt confused with the guitar used as the new town identity. Indianola Main Street Manager Kate Failing studied the Community Branding slideshow, presented by marketing gurus, Ben and Tripp Muldrow with Arnett Muldrow & Associates. Accentuating the “In” in Indianola was just the ticket to help clarify the message, unify the theme and create a “buzz” throughout the community. “In-vestigate Indianola”, “Our time In the Sun”, and “The In Thing to Do” were just a few of the takeoffs that brought the city and various community organizations together to get excited about what is happening in Indianola, and what makes the community an “in” place to be. Local businessman and entrepreneur, David Boland, moved his office to downtown Pascagoula after Hurricane Katrina forced him to relocate. He quickly realized that downtown Pascagoula needed another full service restaurant downtown, and he made it happen. David acquired a vacant space at the corner of Delmas Avenue and Magnolia Street in the heart of downtown. A good omen was evident when David discovered that the space had been a successful restaurant in the 1950’s and 1960’s. David studied old photographs and brought the building back to the brick façade that had been covered by stucco from past “renovations.” David worked with local brick artisans to bring the façade back to life with antique tumbled brick incorporating many architectural details. The interior reuses many existing elements including the block walls and heart pine ceilings. The “Grill” has a hip urban feel and has quickly become a popular gathering place for the “after 5” crowd, and the outdoor courtyard eating area brings lunch goers flocking to the Grill. The Flowers home, a circa 1920 brick craftsman bungalow in Lexington, is listed on the National Register of Historic Places, and was purchased, renovated and completely restored by attorneys Robert G. Clark, III and Bryant W. Clark. The attorneys did the work themselves, with permits from the Lexington Historic Preservation Commission. This restored bungalow now serves as the firm’s office space with the front parlor used as the reception area, the dining room as the conference room and bedrooms as office spaces. The historical integrity of the structure has been kept wherever possible, including wood flooring, an authentic Craftsman-style fireplace with a restored mantle and fireplace screen, historically correct paint colors, and natural wood and window paint and baseboard trim. The exterior of the home remains as it was originally with the addition of a visually tasteful handicapped accessible entry on the east side of the house. In 2006, Lexington Main Street Association presented Clark &Clark PLLC with the Best Landscaping of a Private Business award. The Macon Welcome Center is the result of the restoration and conversion of a historic 1949 Pure Oil Company Service Station, now containing an office, meeting and display space for Macon Main Street and the Noxubee County Historical Society. The Historical Society is placing an exhibit entitled “Coming to Town” in the front of the station. The exhibit includes items that a visitor to Macon would have seen around the turn of the century, including a section of the old post office, period goods, a 19th century cash register and period store signage. A rotation of exhibits of historical artifacts through the Macon Welcome Center attracts visitors downtown, recognizes the Noxubee County Historical Society and Macon Main Street and increases traffic for downtown businesses. Founded in Bay St. Louis in 1899, Hancock Bank occupied its historic downtown Bay St. Louis branch, the city’s first two-story building, in 1900. Heavily damaged by Hurricane Katrina winds and storm surge in 2005, the building has been restored and reinforced, the original marble floors were maintained and its gleaming new brass marquee serves as a beacon of hope for the revitalization of a battered city. Originally constructed as the Taylor Brothers Dry Goods Department Store in Eupora, 61 North Dunn Street was structurally stabilized and restored to house the offices of Belinda Stewart Architects, P.A. The patterned glass transom windows, front door, brick masonry and stucco walls were retained in order to keep the original character of the entry intact, and the storefront color scheme brings a more lively and historic approach to bring color back to downtown Eupora. Formerly an employee parking lot for the Pascagoula City Hall, the area that is now Delmas Square Park is now utilized by citizens of all ages and occupations at all times of day - employees relaxing on their breaks, children playing by the fountain, walkers stopping for a rest and couples meeting over a take-out lunch. Careful planning resulted in the loss of only eight parking spaces behind City Hall but added an additional 71 new spaces for parallel parking on adjoining streets. Since Hurricane Katrina, almost everything in Biloxi has changed location, including the Biloxi Main Street Offices. The new signs are portable and eight feet tall with decorative features reminiscent of turn-of-the-century detailing. The magnetic inserts easily allow changes to keep the information current and inform passers-by in cars or on foot. The beautiful, multi-purpose signs are perfect for versatile outdoor usage whether placed on the Biloxi Town Green, Margaret Tremmell-Peresich Park or in front of City Hall. John Beard and Dale Riser possess a true passion for historic architecture and Greenwood’s downtown redevelopment. Both serve on the Main Street Greenwood Design Committee, assisting with local façade grant projects, streetscape improvements and historic preservation efforts. They have completed five façade renovation projects and three façade designs for historic buildings in downtown Greenwood. Not only have Beard and Riser donated their time and efforts, they have also created a fundraising project– designing note cards with hand-drawn renderings of five downtown Greenwood buildings currently under renovation - to benefit the Main Street Greenwood Streetscape Fund. Beard and Riser have gone “above and beyond” in service and involvement in downtown growth and development projects that benefit Greenwood. Tasho Katasaboulas is a dynamic member of the Greater Belhaven Urban Neighborhood Main Street in Jackson. Kat’s Wine Cellar has been a part of the Belhaven community since the early 1970’s, and in 2007 the shop moved to a new space three-times larger, still in the Belhaven area. The building was constructed “main street style” –close to the sidewalk with rear/side parking, large front windows and easily accessible by walkers from area stores and restaurants. Future plans include the addition of a restaurant. Kat’s Wine Cellar focuses on the shop’s original “Mom and Pop” philosophy toward customer service. Having served the community of Pascagoula since 1932, Merchants and Marine Bank has replaced its original building twice, in 1958 and again in 2005. When Hurricane Katrina destroyed the most recently renovated building, the community was devastated with the loss of a community landmark, but Merchants and Marine Bank continued its commitment to the community. Among the bank’s accomplishments, all employees who remained in the area kept their employment, volunteers provided countless hours of manpower, a partnership was formed with Rebuild Jackson County, assistance was provided to civic and economic organizations, every loan customer was granted a two month extension, special checking account interest rates were given to grant recipients and safe deposit box rental fees were suspended for one year. Merchants and Marine Bank made the biggest statement of faith in the future of Pascagoula that the community had ever seen, and MMSA celebrates their commitment. CB&S Bank built a new branch location in downtown Greenwood that blends seamlessly with the community’s existing historic architecture. The building is brand-new and yet has the feel and look of a 100-year-old property. The design is complementary of existing building styles and the construction materials are authentically “old.” It features handmade brick and copper gutters. The bank and designers worked to achieve a feel of “always been there” in building a new structure. With the addition of the downtown Greenwood branch, CB&S Bank was able to create four new jobs for the downtown economy and provide full service to its patrons. CB&S has truly shown its support of the Main Street concept with this capital investment in downtown Greenwood. In 2006, Ryan Shetler, a technology facilitator for the Noxubee County School District, applied for a service-learning grant through State Farm to fund his vision to provide a place where high school students and adults could give back to their community using technological services. BankFirst Financial Service donated a vacant, hurricane-damaged building located in downtown Macon, which was originally constructed in the late 1800s. After months of hard work and more than 100 student and adult volunteers and business investment, the historical site became home to Macon Connections, an internet cafe where approximately 150-200 adults and students access high-speed internet during the week. Macon Connections also provides basic to advanced level technology classes, one on one computer training, displays student artwork and sells gourmet coffee and treats. The building also offers a conference room available for community organizations to use as meeting space. Through community volunteers and private investors, this 19th century building provides the space needed for community members to enhance their technological skills for the 21st century. The Main Street Clinton Business Development Grant was developed to help recruit targeted businesses to locate to Olde Town Clinton by removing financial barriers of strategic infrastructure improvements. The Business Development Grant of Main Street Clinton was the culmination of this project. The program was designed to dovetail into the existing Main Street Four Point Approach strategies for recruiting businesses and encourage targeted businesses to locate in Olde Towne Clinton. In 2008, the Main Street Approach, using the Business Development Grant, yielded Main Street Clinton’s first successful business recruitment – Cups Espresso Café signed a lease to open their newest location in Olde Town Clinton. Born and raised in Pascagoula, Frank Corder knew the meaning of “home.” In the aftermath of Hurricane Katrina, Frank worked tirelessly to ensure that Pascagoula recovered and rebuilt productively, by taking care of others and making sure Pascagoula stayed on track in spite of the fact that he had also lost his own home to Katrina. Frank works tirelessly to promote family friendly entertainment and events on the coast, such as Cruisin the Coast Concerts and the Main Street Awards Gala. Believing that leadership matters, Frank recently ran for and was elected as Ward 4 Councilman. Frank is a member of the Pascagoula Main Street board serves as chairman of promotion and economic restructuring. Congrats, Frank! MMSA salutes your passion and vision for the city of Pascagoula. Downtown Tunica’s greatest cheerleader, Bobby Williams, made Tunica his home almost 40 years ago. His career began as a merchant, went on to serve as a city alderman, and now has served more than 12 years as Mayor of Tunica. Bobby was one of the founders of Tunica Main Street, and now serves on the Tunica County Board of Supervisors. Bobby has contributed to an amazing transformation of the small town of Tunica. He always seems to be cutting a ribbon or holding a shovel in his hands. Whether beautifying a park or adding public restrooms, the Mayor always has his eye on the prize of making Tunica one of the prettiest and most visitor-friendly small towns in America. For these and many more reasons, we congratulate Mayor Bobby Williams with the Spirit of Main Street Award. Roland Kell, Manager of Chevron Pascagoula Refinery, and his wife Kay Kell, City Manager of Pascagoula, worked tirelessly from the first day after Hurricane Katrina and never stopped to ensure that emergency response teams had fuel. The Mississippi Business Journal named the Kells a 2007 “Power Couple” and wrote, “Kay and Roland find love for each other and the people of Jackson County.” How true this statement is for this couple with a “can-do” spirit committed to the rebuilding and renewal of Pascagoula. Both Kay and Roland know and understand how Main Street can change a community. In 2006, Kay received the Main Street Award for Special Service for a public official. We know we have not seen or heard the last out of this amazing “Power Couple.” Congratulations, Kay and Roland! In 1982, Richard Chenoweth opened Scranton’s Restaurant in downtown Pascagoula in a 1924 building that had originally served as a firehouse and city hall. Through Pascagoula’s downtown decline, Richard maintained his commitment to downtown Pascagoula and the business not only survived but also thrived. During Hurricane Katrina the restaurant housed 18 people, and in the aftermath continued to house and feed all those who came. No one was turned away, and the restaurant stayed open day and night feeding work crews from utility networks. This was in spite of the fact that the building had sustained three feet of water, which had ruined all of its equipment. Chenoweth was cooking on outdoor grills while gutting his business’ fixtures, floors and walls and dealing with the damage to his own home and the loss of all of his personal belongings. In the midst of all of this, Richard Chenoweth remained steadfast and upbeat, vowing to help his business, his neighbors and his hometown rise from the crisis. Because of this commitment, hard work and good faith, MMSA is proud to announce Richard Chenoweth as this year’s recipient of the Paul Coggin Memorial Award.